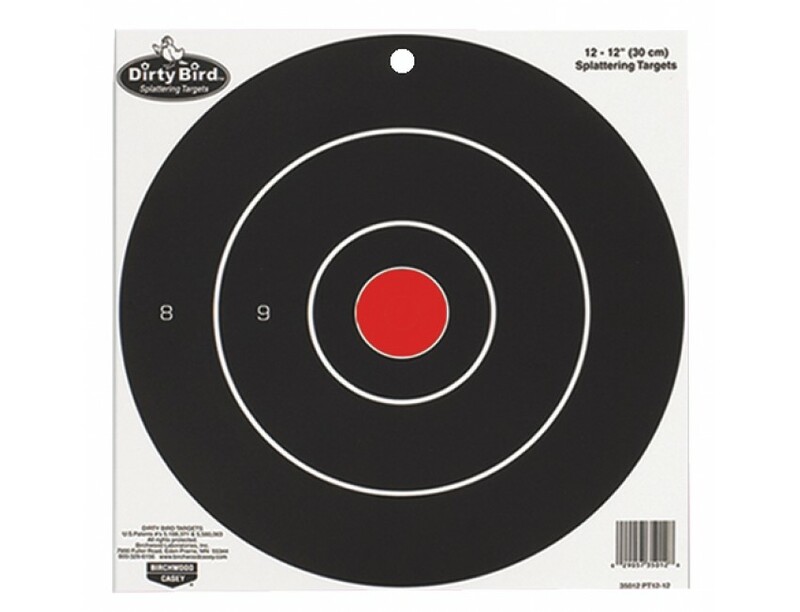 Birchwood's Dirty Bird Bull's-Eye Targets help spot your shots easily with white splatter contrast. The heavy tagboard targets are great for indoor or outdoor longer range shooting. The target is non-adhesive which allows you to affix to any surface you wish, add notes and easily save the targets for future reference.